← What Time Is (In My Words). RE: Galaxies Must Have Been Made By God. Recently a friend emailed me asking me what a quasar is, which to my great shame as a nerd I didn’t know. I thought it was a form of star, something like a pulsar. Turns out I was wrong, it’s a galaxy with an active nucleus. Well anyway, getting to my point, in learning about it I realized how an old creationist argument I heard was not valid. Basically the argument goes like this: Galaxies are all super-awesome and orderly and all the stars are in pretty little stable orbits around the core so god must have arranged them thusly. They are so bright many of them look like stars, and if the core of one was 30,000 or so light-years away (roughly as far away as the core of our galaxy) it would be as bright to us as our sun. So yeah, creationists: 0, science: 9,843,0391,5920. Rec this if you enjoyed it and lemme know if it made sense. Oh, and if you liked this check out my last blog on what time is if you didn’t see it. This entry was posted in Uncategorized and tagged creationist, hubble, quasar. Bookmark the permalink. 22 Responses to RE: Galaxies Must Have Been Made By God. This is another example of an atheist trying to support his point by debunking a crackpot idea.If your position had any merit whatsoever you wouldn’t have to do that. .
@LoBornlytesThoughtPalace – There are non-crackpot ideas for believing there is a god, but creationism, a literal interpretation of genesis, is very much crackpot.But yeah, this blog was more about science and not at all about disproving the existence of god or proving atheism. I fought long and hard against creationism when I was in college. Oh my…..the other day in Science class the teacher scared the crap out of the students by telling them the sun will burn out and die in 5 billion years. One girl screamed, “How will I get my tan!” It amazes me how much men assume….and yes I am being sarcastic. Yeah, I think a lot of educated Christians would even take ’em to task for that one, friend. I sure would lol. But you can’t judge the whole body by a few who speak about things they don’t understand.Did you know that the Bible describes black holes? Or that it says that Yehovah measured the dust and water of the earth and set the planet in it’s precise orbit? Or that he measured the distances between the heavenly bodies and set them in their places? That Word is beautiful friend, and science has actually been confirming everything it says for some time.Hope you’re having a great day, thanks for these thought provoking entries! @LoBornlytesThoughtPalace – Then what happened? I mean obviously you started believing, but what was going on in your life? You don’t have to answer. @YouTOme – We discussed this earlier, but yeah…@LifeNeedsProtection – You lost me there with the last part. @AOK4WAY – “Yeah, I think a lot of educated Christians would even take ’em to task for that one, friend. I sure would lol. But you can’t judge the whole body by a few who speak about things they don’t understand.”Well creationism is a very specific fringe theology. Which is why I said creationism not theism. Though to be fair the number of good arguments I’ve heard for concluding there is any kind of god is honestly zero. 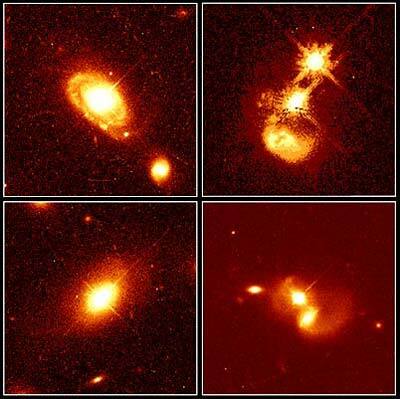 Otherwise I would be a deist or theist, as appropriate.”Did you know that the Bible describes black holes?” The bible describes stars that have exploded, then collapsed back in on themselves becoming so dense and with gravity so strong that not even light can escape? Color me skeptical.I have read dozens of apologetic articles reading complex scientific concepts into simple, non-scientific passages in scripture. I’ve looked up dozens of passages and never found one even slightly compelling. It’s interesting though that bronze-age jews and ancient christians knew about black holes for thousands of years and yet it took over 17 centuries after the death of christ for anyone to suppose one might exist.”Or that it says that Yehovah measured the dust and water of the earth and set the planet in it’s precise orbit?” I doubt it.”Or that he measured the distances between the heavenly bodies and set them in their places? That Word is beautiful friend, and science has actually been confirming everything it says for some time.”I can find countless passages that are scientifically inept. You would no doubt ignore them and insist a vague sentence is really complex science.”Hope you’re having a great day, thanks for these thought provoking entries!”Welcs, and likewise. @agnophilo – I was raised Catholic. And I’m more Catholic than ever. There is no conflict between science and orthodox Christianity. Oh dear, my poor little incompetent brain. @agnophilo – I understand. Really. It’s a choice; not an intellectual leap, but a leap of faith. I’m a different kind of creationist, I guess. For me, creationism is more of a philosophical issue than one of theology. I mean I understand it’s a discussion with it’s roots in theology, but it doesn’t really matter one way or the other as far as my basic theological understanding goes. It’s a matter of how I understand it, not of whether or not I believe it. As with anything else, our understanding and knowledge increase proportionally to the amount of time we spend at it.One of Yeshua’s most compelling teachings for his followers is that unless one does a 180 and becomes as a little child, entering the Kingdom of heaven is not in their future. He further states that whoever humbles himself as a little child does will be greatest in the Kingdom, and that sheds a lot of light on his meaning for me.Obviously, he didn’t mean that we should regress physically to an earlier stage of life. What he meant is that we should become as little children in trusting our Father in heaven. I use the Santa Claus example. Do little kids question the logic of a fat man in a sleigh pulled through the air by some flying reindeer sliding down the chimney with a bag full of toys for every good boy and girl in the world? Nope. They believe it and off to bed they go so that Santa won’t skip their house. In short man, they trust. Santa Claus is a horrible example though, because all our Moms and Dads are busted and the truth is out. Anyway that’s what most creationists do. We trust, and once we get to that, we find it doesn’t matter one way or the other and it stops being very important in the grand scheme of things. The big difference is that we’ve put faith to the test and we’ve seen it work. We’ve experienced something that no amount of evidence to the contrary can counter. It allows us to believe in something we can’t see. But we can feel Him. We’re familiar with and understand the science and the things we’ve been learning, but we also know that our understanding is limited and is subject to error, and we know that although our scientific understanding will continue to change, the absolute truth of what he tells us will not.My friend, what would you call a star that gathers in it’s own light? What does science call it? For the sake of documentation:The earth shall quake before them, the heavens shall shake. The sun and moon shall grow dark, and the stars shall gather in their light. (Joel 2:10)That’s taken from the Literal Version (LITV), and it’s the best translation of that verse I’ve found.”It’s interesting though that bronze-age jews and ancient christians knew about black holes for thousands of years and yet it took over 17 centuries after the death of christ for anyone to suppose one might exist.”… Exactly what I’m sayin’ man! That verse was actually written some time around 400 bc! Science is way behind, but it’s catchin’ up! Until the discovery of black holes, a verse like that couldn’t have made much sense to anyone at all, yet science has finally validated the concept. Once again, we’ve observed evidence for what was thought impossible until recently (relatively speaking). If we’d been writing to each other a couple hundred years ago, stars gathering in their light could well have been one of the “scientifically inept” verses you’d have pointed out to me in furthering your argument. Think about it, friend Further documentation:Who hath measured the waters in the hollow of his hand, and meted out heaven with the span, and comprehended the dust of the earth in a measure, and weighed the mountains in scales, and the hills in a balance? Who hath directed the Spirit of the LORD, or being his counsellor hath taught him? (Isaiah 40:12-13)Oh yes He did, agno!Who is this that darkeneth counsel by words without knowledge? Gird up now thy loins like a man; for I will demand of thee, and answer thou me. Where wast thou when I laid the foundations of the earth? declare, if thou hast understanding. Who hath laid the measures thereof, if thou knowest? or who hath stretched the line upon it? Whereupon are the foundations thereof fastened? or who laid the corner stone thereof; When the morning stars sang together, and all the sons of God shouted for joy? (Job 38:2-7)When the morning stars sang together… Radio telescopes are still tuning in on their singing today! Poor Job had no understanding of gravity… science was WAY behind then. But the Creator knew all about it. He’s laughing at Job! My friend, I ask you in all sincerity, having had absolutely no concept or understanding of physical science as we know it, why would anyone have inserted information about the creator measuring anything at all as a part of creation? Why would he weigh and measure? How would that even have occured to someone back then, with no concept of the law of gravity or how it operates in the cosmos? Even a slight deviation in our orbit of the sun, and most if not all life on earth would be extinguished. We know that now, but then …? It’s no accident!Did you know that the bible also describes what science now calls bending space-time? Documentation:He bowed the heavens also, and came down: and darkness was under his feet. (Psalms 18:9)The beauty really starts coming out when you take the time to investigate the original language texts. I use software to translate them, and I honestly believe it’s time for an updated translation to reflect the advances science has made in verifying the truth of that ancient and supernatural book! This is a being who exists outside of time and space, man. Time and space are His creations! That’s mind blowing, but it’s nothing next to His reason for it all! Documentation:For the earnest expectation of the creation eagerly awaits the revelation of the sons of God. (Romans 8:19)He was in the world, and the world was made by him, and the world knew him not. He came unto his own, and his own received him not. But as many as received him, to them gave he power to become the sons of God, even to them that believe on his name: Which were born, not of blood, nor of the will of the flesh, nor of the will of man, but of God. (John 1:10-13)Oh my dear God, man, I wish that could mean to you what it means to me! I would give it to you if I could. I said earlier that it’s an experiential thing, and I’m experiencing love for you, man. That’s a part of it. I know it’s coming from Him, agno. I do most sincerely wish you peace. @Mugo60 – Thanks : ) I take it you enjoyed the blog then : P@AOK4WAY – “I understand. Really. It’s a choice; not an intellectual leap, but a leap of faith.” The only reason to take a leap of faith is to make yourself feel better about something. I see no more reason to take a leap of faith for yahweh than for allah, vishnu or the abominable snowman.”I’m a different kind of creationist, I guess. For me, creationism is more of a philosophical issue than one of theology. I mean I understand it’s a discussion with it’s roots in theology, but it doesn’t really matter one way or the other as far as my basic theological understanding goes. It’s a matter of how I understand it, not of whether or not I believe it. As with anything else, our understanding and knowledge increase proportionally to the amount of time we spend at it.”Creationism is believing in a strict, literal interpretation of genesis, and it is incorrect. Yes we learn new things all the time, but we will never discover that the whole world flooded 4400 years ago or that there was only one language in 800 BC (tower of babel) any more than we will discover that the earth is flat. These stories are fictional, whether they are meant to be that way (metaphorical/fables/allegory/parables) or just myths.”One of Yeshua’s most compelling teachings for his followers is that unless one does a 180 and becomes as a little child, entering the Kingdom of heaven is not in their future. He further states that whoever humbles himself as a little child does will be greatest in the Kingdom, and that sheds a lot of light on his meaning for me.” Obviously, he didn’t mean that we should regress physically to an earlier stage of life. What he meant is that we should become as little children in trusting our Father in heaven. “Brethren, be not children in understanding: howbeit in malice be ye children, but in understanding be men.” (1 Corinthians 14:20)The bible contains many philosophies.”I use the Santa Claus example. Do little kids question the logic of a fat man in a sleigh pulled through the air by some flying reindeer sliding down the chimney with a bag full of toys for every good boy and girl in the world? Nope. They believe it and off to bed they go so that Santa won’t skip their house. In short man, they trust. Santa Claus is a horrible example though, because all our Moms and Dads are busted and the truth is out.”Yeah but santa clause isn’t real. Nor are any of the thousands of gods other people believe in. Just yours. What are the odds?”Anyway that’s what most creationists do. We trust, and once we get to that, we find it doesn’t matter one way or the other and it stops being very important in the grand scheme of things. The big difference is that we’ve put faith to the test and we’ve seen it work. We’ve experienced something that no amount of evidence to the contrary can counter. It allows us to believe in something we can’t see. But we can feel Him. We’re familiar with and understand the science and the things we’ve been learning, but we also know that our understanding is limited and is subject to error, and we know that although our scientific understanding will continue to change, the absolute truth of what he tells us will not.”An inability or unwillingness to change your position to fit new evidence is a vice, and a willingness/ability to do so is a virtue. If science had your certainty we would still be blood letting and if religion even had steadfast certainty in the “absolute truth” people “felt” they got from god we’d be burning witches, executing gays, performing exorcisms, etc.The fact of the matter is people of many religions feel that they’ve experienced their gods, spirits, and/or demons. The human mind is able to experience many things, including many things that are not there.”My friend, what would you call a star that gathers in it’s own light? What does science call it? For the sake of documentation: The earth shall quake before them, the heavens shall shake. The sun and moon shall grow dark, and the stars shall gather in their light. (Joel 2:10) That’s taken from the Literal Version (LITV), and it’s the best translation of that verse I’ve found.”I looked at over a dozen translations, all of them translate it as the stars will stop shining. And a) our star is too small to become a black hole, even the first scientist to speculate about black holes in the 1700s calculated that a star would have to be approximately 500 times the size of our sun to collapse and “withhold it’s light”, and even if that is what the passage refers to, are you saying the world will end in 5 billion years when the sun dies? And if so, why bother to tell us something will happen as a “Sign” that we will never see? Because we will be vaporized long before our star finally dies.”Exactly what I’m sayin’ man! That verse was actually written some time around 400 bc! Science is way behind, but it’s catchin’ up! Until the discovery of black holes, a verse like that couldn’t have made much sense to anyone at all, yet science has finally validated the concept.” I was being sarcastic. My point was that if the information was actually in the bible and people weren’t just reading modern concepts into simple passages of scripture that it wouldn’t take 17+ centuries for scientists to come up with the idea. And as it turns out it didn’t. It took them 23 centuries to translate it that way. Your translation was first published in 1985 long after black holes were known about, and none of the earlier ones I can find agree with it.”Once again, we’ve observed evidence for what was thought impossible until recently (relatively speaking). If we’d been writing to each other a couple hundred years ago, stars gathering in their light could well have been one of the “scientifically inept” verses you’d have pointed out to me in furthering your argument. Think about it, friend “No, not really.”Further documentation: Who hath measured the waters in the hollow of his hand, and meted out heaven with the span, and comprehended the dust of the earth in a measure, and weighed the mountains in scales, and the hills in a balance? Who hath directed the Spirit of the LORD, or being his counsellor hath taught him? (Isaiah 40:12-13)Oh yes He did, agno! Who is this that darkeneth counsel by words without knowledge? Gird up now thy loins like a man; for I will demand of thee, and answer thou me. Where wast thou when I laid the foundations of the earth? declare, if thou hast understanding. Who hath laid the measures thereof, if thou knowest? or who hath stretched the line upon it? Whereupon are the foundations thereof fastened? or who laid the corner stone thereof; When the morning stars sang together, and all the sons of God shouted for joy? (Job 38:2-7)These are carpentry metaphors. It’s saying that god built the world the way you build a chair or a house. Foundation, cornerstone, “stretch the line upon it”, which some christians interpret as “set the earth in it’s orbit” actually refers to a literal line, a piece of string. They still use string to this day to measure lines in concrete before cutting them with circular saws. They would take a bit of string and use it to measure each side of a square so it would be symmetrical, each leg of a chair so it wouldn’t be lopsided etc. Remember jesus was a carpenter too. It’s a metahor. No advanced science there.”When the morning stars sang together… Radio telescopes are still tuning in on their singing today!” Good grief. Jesus and lucifer are both called morning star in the bible, it’s not referring to literal stars, it’s talking about jesus and the angels singing in heaven at the dawn of time before lucifer was cast out of heaven. Sheesh.”Poor Job had no understanding of gravity… science was WAY behind then. But the Creator knew all about it. He’s laughing at Job! My friend, I ask you in all sincerity, having had absolutely no concept or understanding of physical science as we know it, why would anyone have inserted information about the creator measuring anything at all as a part of creation? Why would he weigh and measure? How would that even have occured to someone back then, with no concept of the law of gravity or how it operates in the cosmos? Even a slight deviation in our orbit of the sun, and most if not all life on earth would be extinguished. We know that now, but then …? It’s no accident!”What? They measured things and had scales back then, otherwise this would have just been gibberish and the words would have had no meaning. You’re just reading complex science into simplistic non-literal passages.”Did you know that the bible also describes what science now calls bending space-time? Documentation: He bowed the heavens also, and came down: and darkness was under his feet. (Psalms 18:9)”Okay first of all this is poetry, not science. And second of all, this is the passage in context:”There went up a smoke out of his nostrils, and fire out of his mouth devoured: coals were kindled by it. He bowed the heavens also, and came down: and darkness was under his feet. And he rode upon a cherub, and did fly: yea, he did fly upon the wings of the wind.”Oh yeah, this is just like einstein’s theory of relativity (sarcasm, if you did not catch that).I can take any old text and inject modern science into it. I just googled a random snippit of shakespeare’s writings, look how easy it is:”Will they not hear? What, ho! you men, you beasts, That quench the fire of your pernicious rage With purple fountains issuing from your veins, On pain of torture, from those bloody hands Throw your mistemper’d weapons to the ground, And hear the sentence of your moved prince. Three civil brawls, bred of an airy word,”When you bleed it is red, not purple, because it is not oxygenated. Knowing that blood was purple was advanced knowledge that must have come from allah. And it said purple fountains would issue from their veins which is impossible unless they’re in an completely oxygenless environment, so this is really foretelling about a murder taking place in outer space! How could they have known what outer space was like back then without allah telling them?! It goes on to say “throw your mistemper’d weapons to the ground”, clearly referring to modern weapons misfiring, because a gun cannot fire in space without oxygen! More proof! And then it says these brawls (conflicts) are “bred of an airy word”, see! They knew that you need air to speak! This is why it says “will you not hear?” And this means that the murder will be ordered by someone who doesn’t die that day because they have air to speak with! I could do this all day. It’s so easy.“The beauty really starts coming out when you take the time to investigate the original language texts. I use software to translate them, and I honestly believe it’s time for an updated translation to reflect the advances science has made in verifying the truth of that ancient and supernatural book! This is a being who exists outside of time and space, man. Time and space are His creations! That’s mind blowing, but it’s nothing next to His reason for it all! Documentation:”Okay are you deliberately trying to annoy me? I just a few days ago wrote a blog specifically about how nothing can exist outside of or before time.”Oh my dear God, man, I wish that could mean to you what it means to me! I would give it to you if I could. I said earlier that it’s an experiential thing, and I’m experiencing love for you, man. That’s a part of it. I know it’s coming from Him, agno. I do most sincerely wish you peace.”I’m sure you’re geeking out about it, but that doesn’t make it real man. Belief can evoke powerful, powerful feelings regardless of whether the belief is accurate to reality. If you believe you’ve just won 100 million dollars in the lottery, you are gonna feel like you have, regardless of whether it’s true. If you believe your family has been murdered, you will feel awful, even if they’re safe and sound.Beliefs alter how we feel, they don’t at all have to be real to do so. I’d never deliberately try to annoy you, agno, and I’m sorry if I did. I’ll stop now, my friend. I enjoy our discussions and I care too much about ya to bring you to frustration knowingly. That isn’t the kind of fruit I strive to bear.I wish you peace my man, and I’m lookin’ forward to our next discussion, God willing. @AOK4WAY – I don’t get offended easily, and your comments on this blog didn’t offend me. But you do seem to be just walking away from the conversation. @agnophilo – Please forgive me for creating that impression dude. I was up cookin’ and typin’ until 4 am, then back at the keyboard before 6. I just thought it might be prudent to take a break. *I’m diggin’ that Alice Cooper lol* You asked if I was deliberately trying to annoy you, and that led me to make an executive decision to take a look at what I can do to prevent giving that impression again.My first public performance with a band happened in 1977. There was an event at our high school called the superbowl of rock, you had to perform your favorite band’s stuff. Three tunes to be exact.We did the Alice Cooper show. We did Black Widow, Eighteen and Billion Dollar Babies. We had a light show and a chick dressed in a black chiffon gown wandering around like a zombie in strobe until my solo, at which point she engulfed John (Alice, he looked and sounded exactly like Alice) between her sleeves and “devoured” him.Yeah, we rocked. Can we pick it up in a day or so friend? I really want to rest my mind for a while.